I’m a 30-year-old project manager working for a passivhaus / low energy design company in West London. I moved to London in December 2015 in anticipation of taking up my current role. 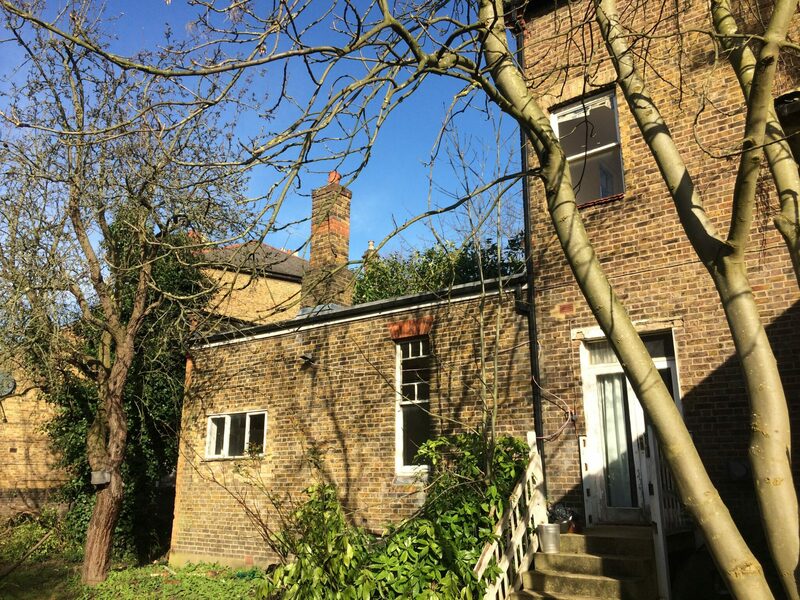 For fifteen months I was a “property guardian” with three other housemates in a beautiful eight-bedroom detached Victorian townhouse built by a local Chiswick artist in Turnham Green in the 1880s. The building is to be demolished this summer to build nine retirement flats for the over-50s. This is my experience of being a property guardian in London in 2017. Nothing weird or degrading, like living in a broom cupboard, or under the stairs, or in a shed in a living room. The property owners don’t need to pay a full-time security guard service, which can cost thousands of pounds per month. Property guardians pay a “license fee” rather than rent. They do not have the same rights as a traditional assured shorthold tenancy (AST), even though the rental prices for property guardians are approaching normal market rents. Guardians can be forced to leave within a single day in an emergency, although the agencies that manage this sector normally promise up to 30 days’ warning. I, personally, was given six weeks’ notice – not by the agency, but by the Housing Association which owned the property I lived in. Our warning came about when the managers held a meeting around our kitchen table (they invited themselves into our house) and my housemate asked them outright when the building was to be demolished. They told us the date, and so we knew when to move out. Guardians are not expected to do anything other than live in the premises they’ve been assigned to. Like any normal tenant, they have to keep it neat, tidy and free from any health and safety issues. Fire safety was always a huge concern for the guardian agency – the owners didn’t want their valuable asset to go up in flames. An office block in Elephant & Castle, in which his room was an entire floor (about 250m2). When I moved to London he was living in a two-bedroom flat in Hackney Central for which he was paying £450 a month excluding bills. The flats were to be demolished eventually, but he managed a year there, and he said it was a nice, comfortable and cheap place to live for him. So I knew there were some cool spaces out there as a property guardian. I had a list of the available properties from Ad Hoc (one of the first guardian agencies to set up in London). I also rang around some other guardian agencies and set up viewings. My target area was a five-mile cycle around Hammersmith, encompassing Chelsea, Putney, Chiswick, Kensington and Fulham. The first place I visited was a vacant pub in Chelsea. It was disgusting. Ten people were living there and they weren’t keeping it nice. 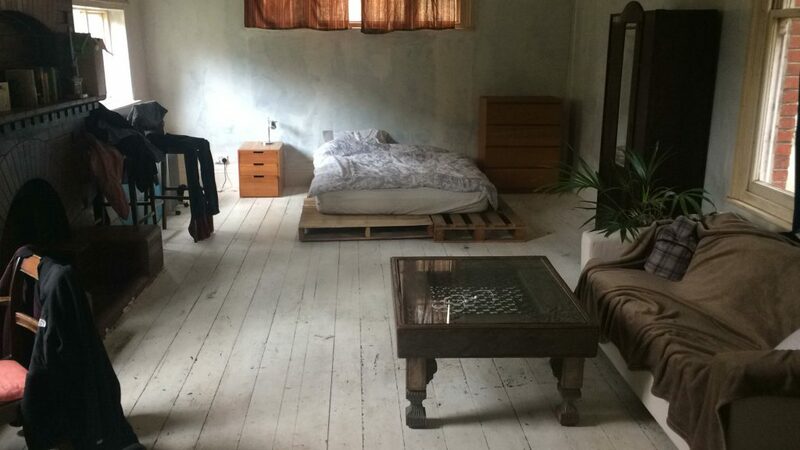 The room was being let for £450 a month excluding bills. It had a single bed but the real kicker was a huge greasy steel safe in the corner of the room that took up half of the space. “That has to stay,” the viewing rep told me. The rep was nice enough, but he seemed embarrassed in himself that he was trying to pass this room off as an acceptable living arrangement for £450 a month. “It’s probably more for someone that just needs a place to store their clothes,” he said, as if anybody is looking for a room just to keep their clothes in. I didn’t take the room, and I was pretty disheartened with the opening experience. If this was the standard of rooms available, I was in trouble. The second room was in Turnham Green. I can remember cycling up Chiswick Mall along the river to get there, and cutting through Chiswick House. It was a lovely, peaceful, leafy suburb, and I remember thinking that if the room was halfway decent I’d take it, because the location was so good. I was met by the Ad Hoc viewing rep. He showed me around the house and what would be my room. 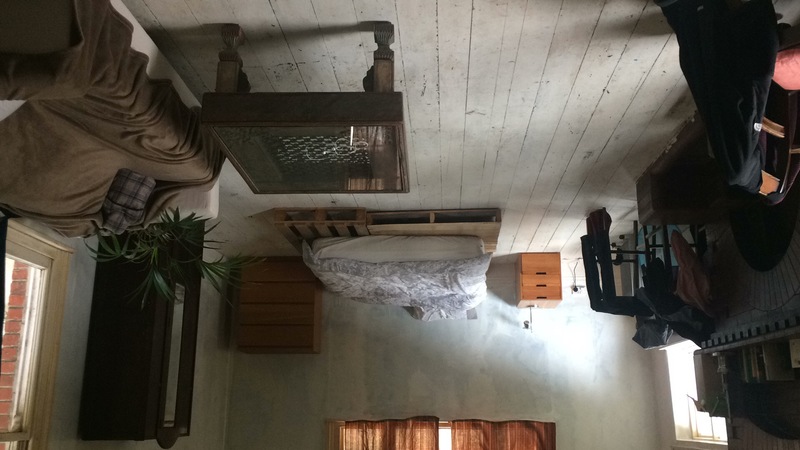 It was clean, the kitchen was well-stocked and the room I would be taking was huge (38m2, or the minimum legal standard for a self-contained flat in the UK). There was a large shared kitchen, two bathrooms and two WCs split between four people including myself. The house was massive, with a basement and a huge garden. The room was full of junk, formerly the living room, but the rep promised it would be cleared out if I took the room. It was also ice-cold. The house had a gas boiler, but no central heating. 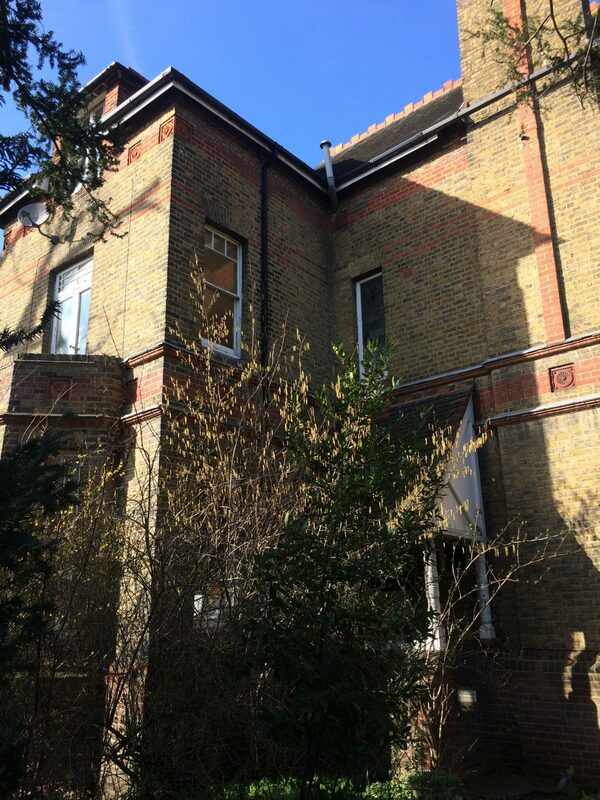 It had 100-year-old single-glazed sash windows (that still worked), and a suspended floor that aired to outside. The house boiler heated the water for washing only. The Ad Hoc rep advised that I buy an electric oil-filled radiator, and here’s the kicker: all bills were included, so I didn’t need to worry about an expensive electricity bill. I worked out that it costs about £2.70 to run a 2kW oil-filled radiator for two-thirds of the day, which is very expensive and not very eco-friendly. But that was our only source of heating in the house. The rent was £600 a month, all bills included. My housemates were friendly, respectful working professionals, they had organised a fortnightly cleaner for the communal areas and they shared all of the kitchen appliances freely. I had my own bathroom and toilet, as I was the only one in my “wing” of the house, as they all lived in the bedrooms upstairs (I was on the ground floor in an extension of the original house, probably a living room or mini-chapel, surrounded on three sides by the garden). It was wonderfully quiet all year around. My commute was a 20-minute cycle or a 40-minute walk, I had space for a double bed (the frame made from warehouse pallets), huge desk, three sofas and a living room area. My room had huge sash windows, hardwood floors, high ceilings and was super-quiet except for the 6am hum of Heathrow airplanes, surrounded as it was by trees and garden. We mowed the garden every few weeks in the summer because we respected the neighbours, and we didn’t want them to accuse us of making the house “an eyesore”. I genuinely think we took care of the home – we kept it clean, we fixed problems and we guarded it from squatters. In winter I reckon my room was never more than three degrees celcius warmer than outside. So when it was -2DegC outside, it was 1DegC in my room. That sucked, but I got used to it. I wore a woolly hat to bed once or twice, and still lay there shivering. The electricity failed twice whilst I was there. We bothered Ad Hoc about it, but it was the housing association who came and sorted it, as they had an on-hand electrician. Both times it took about four hours from electrical blow-out to being fixed, so probably a better response than your average landlord. Sometimes we would receive the odd email saying that the HA had received complaints about us regarding items in the hallway that could be fire risks. They implied that if we didn’t fix it they would have us removed within a day! That was always tense, especially in winter when the idea of being kicked out at short notice made me feel sick. We tidied up the communal areas and they sent a company to properly clear the junk (including the stuff in my room) out of the house. That calmed them down. Another time they warned us that illegal items had been found in the house (candles and smoking were strictly forbidden). Two warnings and you could be thrown out without notice, and that was to be our first. Again, we cleared the house of candles and they calmed down. When it came to move out I was a little worried about getting my deposit back, as I’d heard stories that guardian agencies often kept part or all of the deposits as ransoms for myriad reasons (cleaning, damages, etc). Deposits are not kept in any protection scheme, or protected legally (although there are attempts by parties to introduce legislation to force this), so there’s not much legal recourse. In my case however, I had my full deposit returned within two weeks, so I can’t complain. All in all, I liked my time as a property guardian. Sometimes I worried about the precariousness of it all – in the final months there were constant rumours we would be kicked out within days – and that made it difficult to plan ahead. I took a three-week holiday in Asia and I basically packed up all of my stuff just in case I was kicked out whilst I was away. But now looking back, I can see it for the good time that it was. 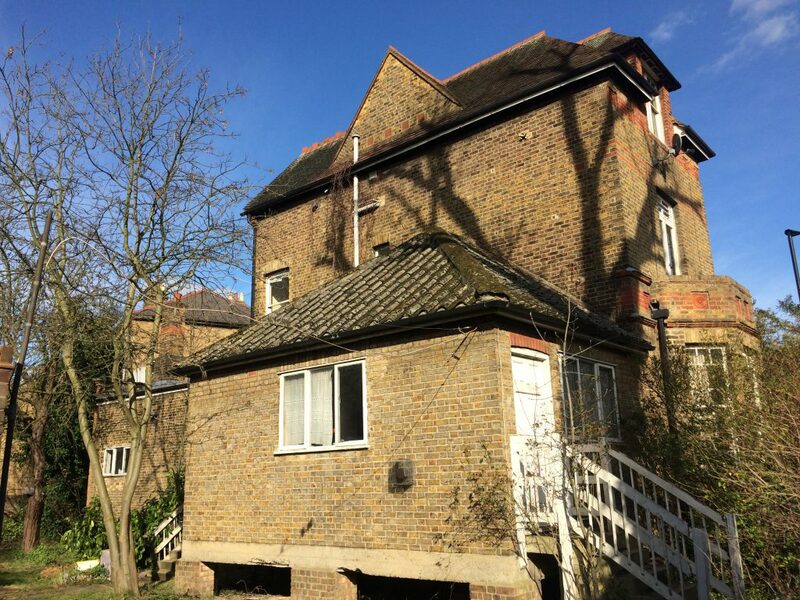 I miss my huge, bright studio, surrounded by the garden and trees filled with birds, a five minute walk to Chiswick House or Turnham Green Church. I know that my housemates and I enjoyed living in the spooky old house surrounded by the million-pound family homes nearby. We all loved the extra space we had, throwing barbecues in the summer and shivering together in the winter. Right now I live in a normal flatshare, with an AST. I appreciate the security and the legal recognition, and the rent is actually cheaper (although the room is much smaller). But it’s just so normal, and boring. If I found the right room I wouldn’t say no to being a guardian again, but my experience is that the “license fees” are approaching normal market rates and competition amongst renters is tough as it’s becoming popular, so I would have to get lucky to find a really cool space. Saying that, there are a lot of vacant properties in London so business is booming.